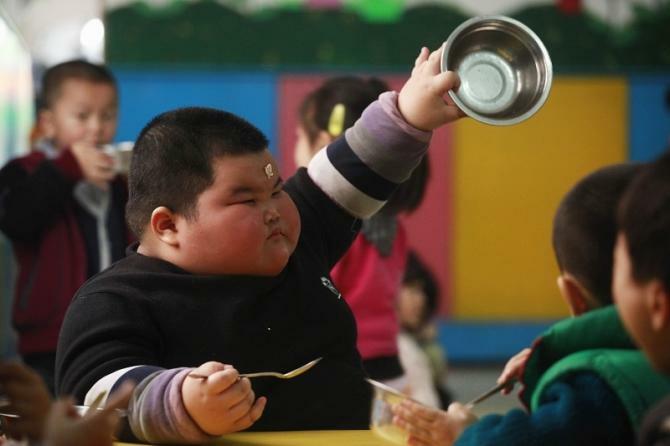 Parents can improve their children's weight by simply keeping them longer at the dinner table, according to a new study. In fact, keeping children for an extra three minutes longer at the table during family mealtimes is a practical way to prevent child obesity, scientists at the University of Illinois said. Researchers studying ways low-income families can help children achieve and maintain normal body weight found that the extra minutes invested in mealtimes significantly improved a child's chances at maintaining normal weight. In the latest study published in the journal Economics and Human Biology, researchers looked at 200 family mealtimes and found links between mealtime behaviors and children's weight. They found that children who regularly sat down for family meals were more likely to have a healthy weight compared to those whose mealtimes were cut short. "Children whose families engaged with each other over a 20-minute meal four times a week weighed significantly less than kids who left the table after 15 to 17 minutes. Over time, those extra minutes per meal add up and become really powerful," study author Barbara Fiese, director of the University of Illinois' Family Resiliency Program, said in a statement. The findings suggest that the factors at play are likely to be communication and the importance of a scheduled mealtime. Researchers found that families who said that shared mealtimes are an important part of family life and have special meaning for them were less likely to have a child who was obese or overweight. The study also revealed that families who talked more together and interacted more positively during the meal were more likely to have children with normal weight. Fiese said that teaching low-income families how to make the most of family mealtimes was a viable intervention to help them tackle obesity. "This is something we can target and teach. It's much more difficult to change such factors as marital status, maternal education, or neighborhood poverty," she said. "It's also important to recognize the increasing diversity of families and their sometimes complex living arrangements that may challenge their abilities to plan ahead and arrange a single time to communicate with each other," she added. Researchers noted that while families in the low-income neighborhoods faced a multitude of problems like poor access to healthy food. However, even after accounting for these risk factors, they found that regular, high quality, family mealtimes made a significant difference to children's weight. "Three to four extra minutes per meal made a healthy weight more likely," she concluded.